Now you can make yourself a cup of real coffee no matter where you are – no more instant! – This mug is a mug and plunger all in one. Put your ground coffee or loose tea at the bottom of the mug, pour hot water over and wait a few minutes until it’s ready and then press down the fine mesh and your freshly made coffee or tea is ready to drink from you mug. 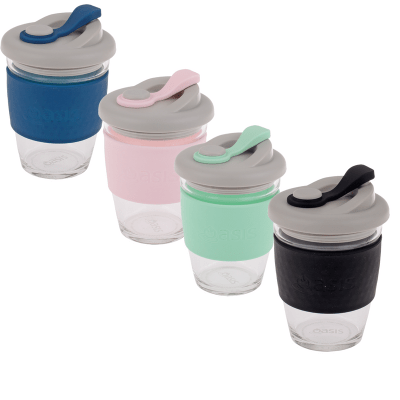 If you are not drinking it right now you can put the lid on for easy transport and will also combined with the double wall keep it warm for longer. 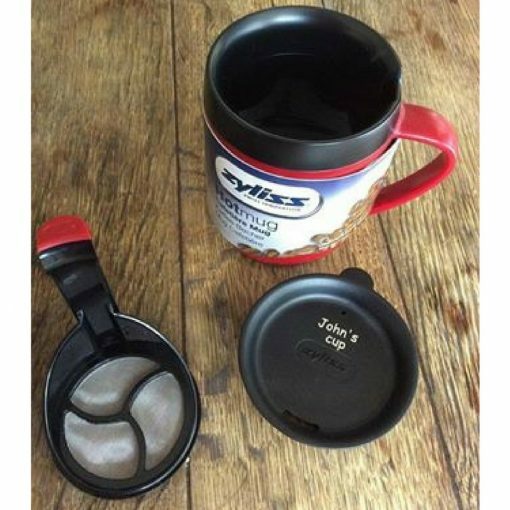 The personalised Zyliss hot mug is perfect for work, travelling (no more instant coffee in your hotel room), camping etc. A name/text will be permanently marked on the lid. This mug does exactly what it says it does. Way better than instant coffee at work! 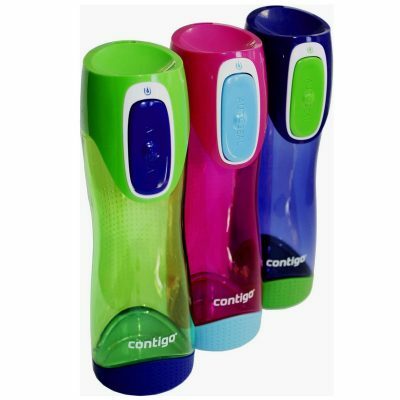 I can’t really speak to how warm it stays, as I usually drink it straight away – but the press part works great. I do sometimes find that some coffee grounds escape, but if you take the press part out after squishing it down, rinse it, and stick it back down again, that usually helps. It could also be the size of the coffee grounds I have. You could always skip the last mouthful too. A great little mug!